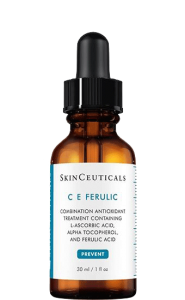 Vitamin C is amongst the most extensively studied—and proven—skincare ingredients, and you’ll be hard-pressed to find a dermatologist who doesn’t recommend this potent antioxidant for virtually all of their patients. Dermatologist Dr. Jennifer Ahdout of the Roxbury Institute in Beverly Hills, California is a firm believer in this ingredient’s many virtues as well and says, “In addition to helping build collagen and lighten dark spots, vitamin C also prevents damage from environmental pollution and some sun damage when used as a complement to sunscreen.” However, there are several factors to consider when selecting a vitamin C product, and Dr. Ahdout shares a few important points to keep in mind. There are many different forms of vitamin C, but according to Dr. Ahdout, “L-ascorbic acid is the most effective derivative of this antioxidant ingredient. Other forms of vitamin C you may come across include ascorbyl palmitate and magnesium abscorbyl phosphate, but L-ascorbic acid provides the best protection against free-radical damage.” In addition to the type of vitamin C used, it’s also important to look for a concentration of 10-20% L-ascorbic acid for optimal performance. You should feel it working. 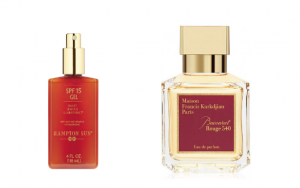 Many of us seek out serums and creams that glide on smoothly and provide a pleasant application experience—and that’s OK when it comes to other moisturizers and treatments. “It’s very common to experience temporary tingling or stinging when applying a properly-formulated vitamin C serum, and this means it’s working. I always tell my patients that vitamin C serums aren’t designed to feel good—it’s about the science and results over time,” Dr. Ahdout shares. Skincare companies spend a lot of money designing packaging that is attractive to consumers, but vitamin C shouldn’t be selected based on looks alone. 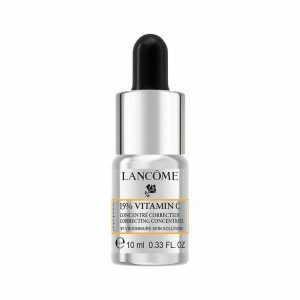 “It’s imperative that a vitamin C serum comes in a dark or opaque bottle to protect against oxidation and other damage caused by light, which can reduce its potency and effectiveness.” Dr. Ahdout explains. Use it correctly to get the best results. 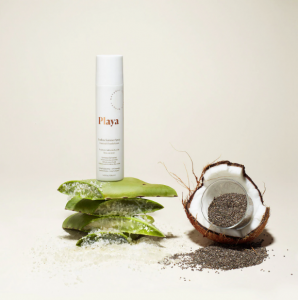 There are countless other vitamin C options that can provide antioxidant protection and other anti-aging benefits—and here are a few of the latest products that are getting attention. With 15% vitamin C to improve the appearance of uneven skin tone, dullness and loss of firmness, this radiance-enhancing serum comes in two smaller bottles to ensure the product is as fresh and potent as possible. 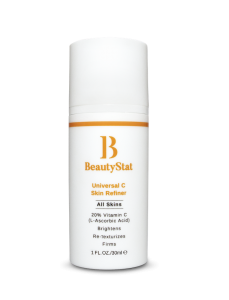 One of the newest vitamin C products on the scene, this formula features an encapsulated delivery system that helps minimize oxidation and maximize stability both in the bottle and while it’s on your skin. 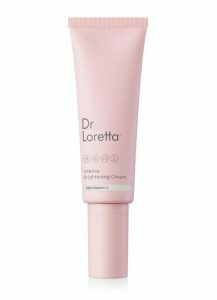 Serving up 20% L-ascorbic acid in a rich, creamy formula, this daily antioxidant helps improve discoloration, fine lines and wrinkles while supporting collagen and shielding skin from free radicals. 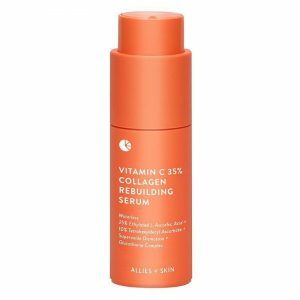 Boasting two types of vitamin C that add up to a whopping 35% concentration, this waterless formulation is highly resistant to oxidation which makes it a powerful weapon in the fight against dark spots and other visible signs of environmentally-induced aging.